Image 7161050: Pregnancy infographics with healthy pregnant woman showing ok sign gesture. Vector illustration with design elements. 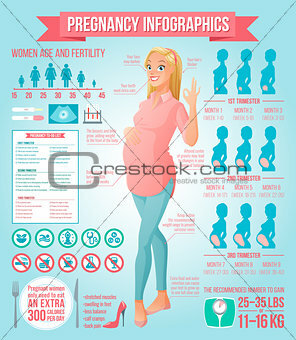 Image Description: Pregnancy infographics set with beautiful and healthy pregnant woman showing ok sign gesture. Vector illustration with icons set and design elements. M 11.4 x 13.1 cm 4.5 x 5.2"
XXXL 36.2 x 41.6 cm 14.2 x 16.4"